Half full: The Crew won a grinder of a game Wednesday versus the Reds and enter a key 4-game series in Philadelphia in good spirits and a 4-game lead with 16 to play in the wild card race…and Ben Sheets on the mound for the opener. Hang in there Brewer fans, meaningful September baseball is rarely without some turbulence! The season series between these clubs is tied at one win a piece. The Brewers have won each of their last three road games, outscoring their opponents 21-4 in that span. However, they have dropped seven of their last 10 games overall. Philadelphia has lost three of its last four games, including two in a row. With his win on Saturday, Ben Sheets established a new career-high with his 13th win of the season. Sheets is 2-3 with a 4.50 ERA in seven career starts against the Phillies. Jamie Moyer is 2-0 with a 1.46 ERA in his last two starts. Seventeen of Mike Cameron’s 24 home runs have come on the road this season. All games of the Phillies series will be televised on FSN Wisconsin with the exception of Saturday’s game, which can be seen on FOX Network. The Brewers started the homestand leading the Wild Card race by 5.5 games over the Phillies and 4.5 games behind the Cubs in the Central Division. After a 2-5 start to this 10-game stand, the Crew is looking to plug some holes in the boat. They remain four games ahead in the Wild Card, and four games behind in the Division with 19 games to play. They’re still in good shape but hope to clean up the defense and find the barrel of the bat this week. Next up, the Reds. Dusty Baker’s club took 2 of 3 at home against the Cubs to help keep the Brewers in striking distance. Sunday, Jolbert Cabrera had a walk-off hit as the Reds scored three times in the ninth to beat Cubs closer Kerry Wood. Chris Dickerson had a two-run pinch-hit single in the ninth to tie it after the Reds had only three hits and one run entering the inning. The Reds are coming off a 6-3 homestand and the walk-off win on Sunday was their 11th of the season, tying Florida for the most in the majors. Cincinnati sends two hot pitchers against the Crew in Edinson Volquez (16-5), a Cy Young candidate, and Bronso Arroyo (14-10). Arroyo has a 3.13 ERA in 10 starts since the All-Star break. In 69.0 innings pitched, Arroyo has 50 K’s and only 18 walks. These teams have split the first 12 games in the season series, with each club going 4-2 in the opponents’ park. The Brewers split their four-game series with the Padres. After averaging 5.6 runs per game in August, the Brewers are scoring 2.3 runs per game this month. Edinson Volquez looks to become the first Red to win 17 games in a season since Pete Schourek posted 18 victories in 1995. Mario Soto was the last righthander to win at least 17 games when he went 18-7 in 1984. Prior to surrendering six runs in 5.0 innings in his first start in September, Dave Bush had lowered his ERA every month this season. Jay Bruce was 1-for-2 Sunday and has reached base in 11 consecutive games, batting .316 (12-for-38) in the process. Edwin Encarnacion is slugging .569 with the bases empty, compared to .349 with runners on, the largest disparity in the National League (minimum 3.1 PA per team game). Ryan Braun’s 21 homers versus the NL Central this season are the most by any player against a single division. Monday and Tuesday’s game will be televised in High Definition on FSN Wisconsin, while Wednesday’s matinee can be seen on WMLW at 1pm in the Milwaukee area. John Walsh will produce, Michael Oddino will direct. After a 20-7 August, September has been a little rude so far. The Mets capped off a stellar road trip with a sweep of the Crew. 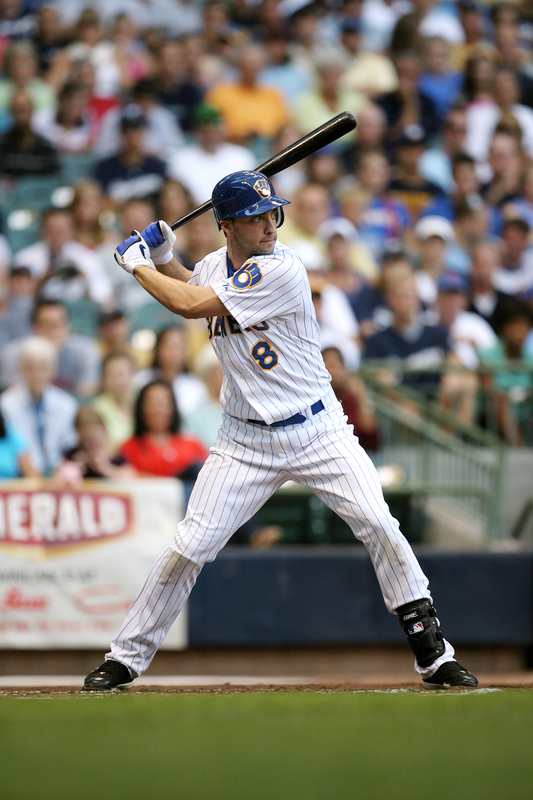 The last time the Brewers were swept at Miller Park (Cubs – July), the Brewers responded by winning 20 of the next 27. 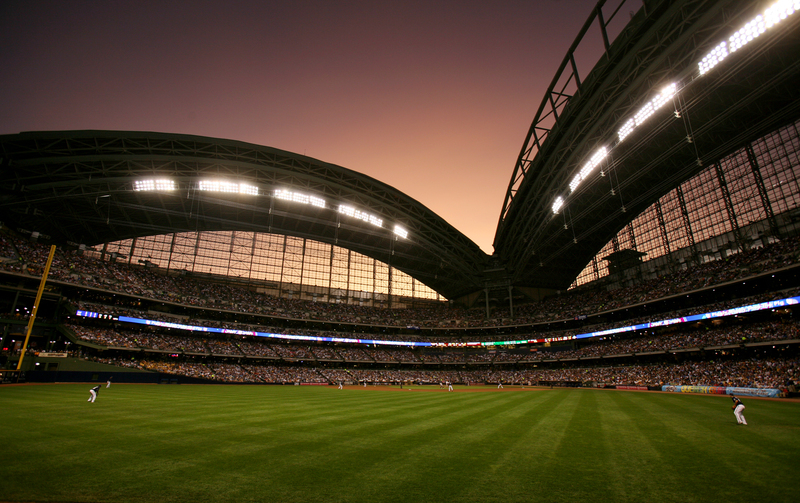 Despite a 3-game losing streak, the Brewers have seven home games remaining against the Padres (4) and Reds (3). The Crew opens play Thursday with a 4.5 game lead over the Phillies in the Wild Card race and just 4.5 games behind the Cubs in the Division race. The Cubs play @ Cincinnati and @ St. Louis with off days prior to each series. The Phillies play @ the Mets and home against the Marlins with an off day Thursday. The Brewers have won four of their last five meetings with the Padres, including two of three against them this season. 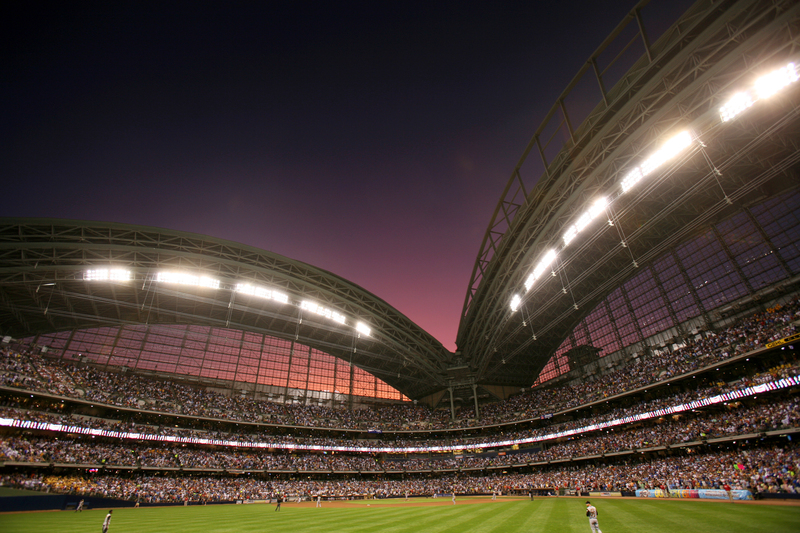 Milwaukee will be looking to snap its three-game losing streak. The Brewers have the third-best home record among NL teams this season (41-27). The Padres have lost each of their last nine road games and are an ML-worst 21-47 away from home this season. Jeff Suppan is 5-0 with a 3.00 ERA in his last six starts and has won each of his last two starts against the Padres. Shawn Estes will be making his first start since being placed on the DL back on May 31. Estes is 5-6 with a 6.01 ERA in 14 career starts against the Brewers and will be facing them for the first time since September 15, 2005. Since snapping his 12-game hitting streak, Brian Giles has gone 0-for-7 in his last two games. Giles is hitting .167 (2-for-12) in his three games against the Brewers this season. Milwaukee is an ML-best 25-12 in one-run games this season. J.J. Hardy is hitting .467 (7-for-15) with two triples, one homer and three RBI over his last four games. All games will be televised on FSN Wisconsin with John Walsh producing, Michael Oddino directing and Brian Mikolajek graphic-ing.